The Catholic Church in Australia says it would oppose laws forcing priests to report child abuse when they learn about it in the confessional, setting the stage for a showdown between the country's biggest religion and the government. The Catholic Church in Australia said Friday it would oppose laws forcing priests to report child abuse when they learn about it in the confessional, setting the stage for a showdown between the country's biggest religion and the government. Pope Francis, leader of the world's 1.3 billion Catholics, is facing sexual abuse crises in several countries and the stance taken by the Australian bishops reflected the abiding, powerful influence conservatives have in the church. Visiting Ireland earlier this week, Pope Francis begged forgiveness for the multitude of abuses suffered by victims in Ireland, and he has promised no more coverups. The Australian Catholic Bishops Conference (ACBC), the country's top Catholic body, said it did not accept a recommendation from an official inquiry that would force priests by law to report abuse to the police when they hear about it in confession. Two of Australia's eight states and territories have since introduced laws making it a crime for priests to withhold information about abuse heard in the confessional, while the others have said they are considering their response. "This proposed law is ill conceived, and impracticable, it won't make children safer and it will most likely undermine religious freedom," ACBC President Mark Coleridge told reporters in Sydney, referring to the sanctity of the confessional. The seal of confession was "a non-negotiable element of our religious life and embodies an understanding of the believer and God," Coleridge added. Twenty-two per cent of Australians are Catholic, and the move sets up a rare schism between the church and the government in a country that adheres to a secular constitution. Andrew Singleton, professor of philosophy at Deakin University in the state of Victoria, said the bishops' response reflected a disconnect in Australia between religious and secular sensibilities. "Their stance is the classic tension between canon law, and their sense that there is some sort of higher, transcendent entity, and common law," Singleton said. Accusations of coverups in the church have reverberated all the way to Pope Francis, who has been accused by a United States archbishop of knowing for years about sexual misconduct by an American cardinal and doing nothing about it. The ACBC's opposition runs against laws which take effect in South Australia, the country's fifth-biggest state, in October, and in the Australian Capital Territory (ACT) from April 2019. 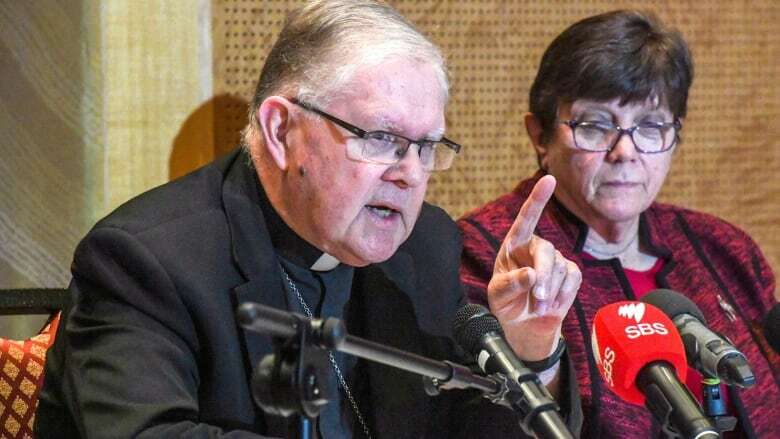 The stance taken by the Australian bishops also runs against the position taken by their Church's chief adviser on child abuse complaint handling, Francis Sullivan, who said in 2017 that "priests, like everybody else, will be expected to obey the law or suffer the consequences." Clare Leaney, CEO of In Good Faith Foundation, a victim support group, described the bishops' decision as "more of the same." "I've spoken to a number of survivors ... who said they were actually quite disappointed," Leaney said. "We are aware of at least one instance where the confession has been misused." Australia's former prime minister Malcolm Turnbull had been scheduled to deliver a rare public apology to victims of sexual abuse on Oct. 22, but he was ousted by his party earlier this month.